Thousands of new homes are en route to ease a shortage in the West Midlands as house building got off to its best start to the year since 2007. 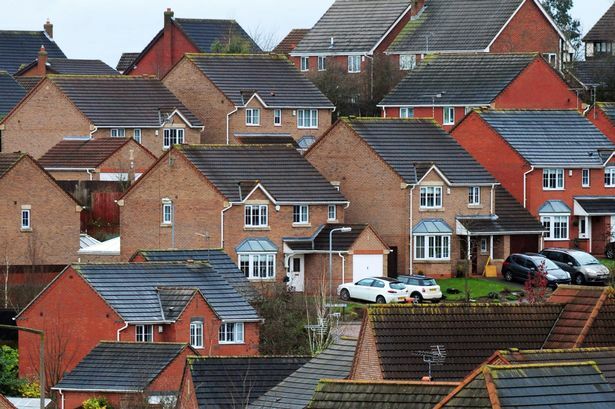 New data shows 3,835 homes were registered between January and March, a 31 per cent rise year-on-year. The statistics, from the National House Building Council (NHBC), come amid vast demand for homes in Birmingham, with the city’s population set to grow by 150,000 by 2031. Rising activity in the West Midlands came as 40,281 new homes were registered in the UK in the first quarter, marking the highest total for the first three months of the year since 53,420 new registrations were recorded in early 2007. The “encouraging” figures seen so far for 2015 also represent an 18 per cent increase when compared with the first three months of 2014, the NHBC said. Its chief executive Mike Quinton said: “Our figures show an encouraging start to 2015 with new housing registrations up 18 per cent on the first quarter of last year. Housing growth levels remain strong across virtually every part of the UK. Only London, the South East, South West and East saw more new home registrations than the West Midlands across the period. In March alone, 17,210 new homes were registered across the country, marking an upswing of nearly a third compared with March 2014. The NHBC’s registration figures are taken from builders who are responsible for around 80 per cent of homes constructed in the UK. Builders are required to register a house with the NHBC before starting work, which means its figures represent homes that are to be built in the months ahead. But some regions saw falls compared with a year ago. In London, 5,622 new homes were registered between January and March, marking a 29 per cent fall compared with the same period a year earlier. The NHBC’s previous figures for London have been particularly strong as the economy started to recover. The latest figure could possibly be a sign of house builders taking a pause in early 2015 in order to await the outcome of the General Election. The figures also show that detached homes are continuing to make a comeback. A total of 26 per cent of new homes registered in the first three months of 2015 were detached, equalling the percentage seen across 2014. The proportion of homes being built that were detached fell to a recent low of 15 per cent in 2008. The bulk of new-build homes being registered are flats and maisonettes, accounting for 31 per cent of properties.